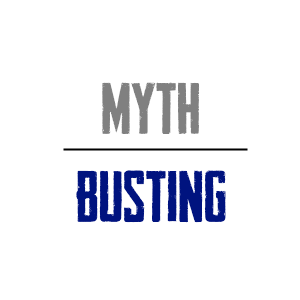 This is the sixth instalment of a ten part series similar to what I did with “The Biggest Myths in Economics”. Many of these will be familiar to regular readers, but I hope to consolidate them when I am done to make for easier reading. I hope you enjoy and please don’t forget to use the forum for feedback, questions, angry ranting or adding myths that you think are important. This one is really going to annoy some people so please use the forum and comments to let me know how dumb you think I am. uncertainty of the global financial system, the risks of financial assets and the erosion of your purchasing power. But the weird thing is that these firms selling you gold are always asking for the exact thing they’re scaring you about – Dollars. Isn’t that strange? It kinda makes you wonder whether this makes sense or if they’re just trying to sell you fear in exchange for your wallet? Let’s explore this a bit further. If we look at the long-term historical price of gold we actually find that its positive performance is something quite recent. It’s only in the last 50 years that gold has generated high real returns. But since 1791 the real price of gold has spent most of its time languishing. Of course, this relatively recent price appreciation coincides with widespread changes in the global monetary system and the mistrust of how this system is managed and constructed. But within the scope of the global financial system in modern times gold also looks like an inferior diversifying asset when compared with dollar denominated financial assets. For instance, when compared with a portfolio of 50% Treasury Bonds and 50% US Stocks, adding gold as a third asset in the allocation does very little in terms of contributing any diversifying benefits. In other words, despite increasing mistrust of the Dollar based global financial system dollar denominated assets have protected an asset allocator even better than gold. And they’ve done so in a much more consistent manner. In addition, within the scope of the global asset markets gold is an extraordinarily small portion at just 0.58% of all outstanding assets.¹ If an investor is seeking diversification and a portfolio that reflects the market balance of all assets then gold is a largely meaningless asset. In other words, the aggregate global asset markets simply don’t deem gold to be all that important within the scope of all outstanding assets. Said differently, a free market purist shouldn’t allocate much to gold based on the current aggregate relative market value of outstanding gold. This warrants a meager position in gold at best for the market purist. However, at such a small weighting gold’s contribution to any diversified portfolio will be of little benefit. From the perspective of safe haven assets gold is often sold as the ideal hedge against global financial market collapse. However, as the 2008 financial crisis proved, it is not gold that performs best during times of crisis, but US Treasury Bonds. This makes sense since T-Bonds are a liability of the largest cash flow generating entity on the planet.² So while gold has a history of performing relatively well during periods of uncertainty as long as we exist in a credit based monetary system the safe haven instrument in that universe will be the liabilities of the global reserve currency issuer. Lastly, gold’s valuation and future portfolio contributions are nearly impossible to predict since it is not a cash flow generating asset. As is the case with most commodities you have to ask yourself if you’d rather own the commodity or its productive output. In other words, would you rather own something like a barrel of oil or the company that takes that barrel of oil and generates cash flows by generating productive cash flows from it? One is a speculative bet on the price of a commodity while the other is an investment in the innovative capabilities of real businesses. I don’t know about you but I’d rather give my kids shares of businesses that make good use of commodities as opposed to stockpiling commodities for them to lug around. All of this makes sense from an operational perspective since gold is little more than a commodity with some monetary elements. The commodity aspects are very real and give gold value.³ The monetary elements, on the other hand, are largely theoretical and rely on the belief that the global financial system will one day revert back to the gold standard or some form of it. While that is not out of the realm of possibility it does appear like a bet on an outlier outcome. ³ – Commodities don’t typically generate real returns since they are significant portions of the cost of production. And while it’s popular these days to base investment decisions on past returns and recent performance I would argue that the fundamental and operational understanding of gold is a much more rational predictor of future potential returns. That is, past returns don’t tell us much about future returns, but understanding that gold is ultimately just a commodity gives us a much more rational perspective of what types of returns we should expect going forward. 4 – A lot of comments in response to this say that gold is the ideal hedge in case of fiat money collapse. But this again is unsupported by the evidence. In fact, the optimal hedge, as shown in the cases of Weimar, Zimbabwe and empirical research is stocks as they are the liabilities of the entities that maintain their pricing power even in the case of a very high inflation.